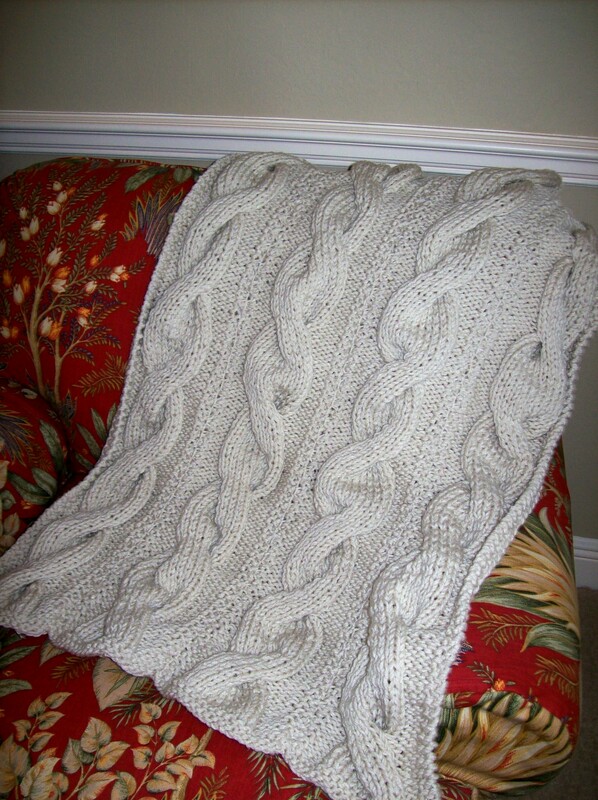 Knitch Magazine recently featured Laurel Hill’s knitting needles and crochet hooks in a review done by Barbara Rottman. 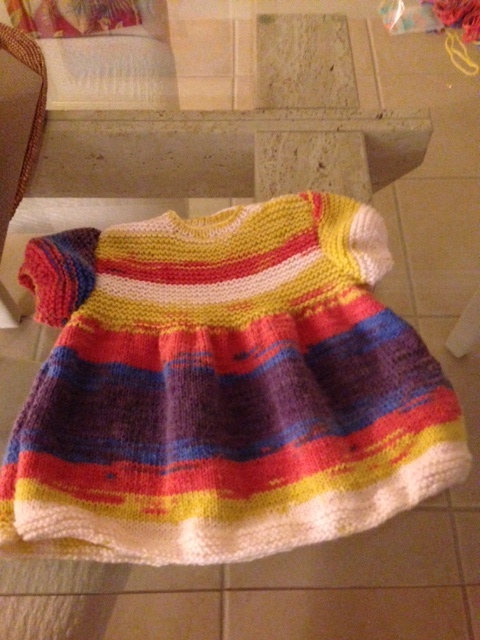 The ever-growing enthusiasm for knitting brings along a bounty of patterns, yarns and tools for knitters. For those who approach knitting as art, natural wood knitting needles and crochet hooks from Laurel Hill will enhance their knitting experience. These tools are produced from exotic woods carefully for beauty, strength and flexibility and hand polished into functional works of art. Produced from sustainable materials and exotic woods, Laurel Hill knitting needles and crochet hooks are environmentally and socially responsible. Each needle jacket describes Laurel Hill’s cooperative partnership with Vietnamese workshops where workers earn a fair living wage and are treated with respect. Laurel Hill’s new triangular knitting needles are more than a curiosity; they are quick, easy on the hands and have an amazingly sharp point that will please many knitters. These 10-inch straight knitting needles are made from Forest Palm, an extraordinarily light but strong wood polished to perfection. Needle sizing is indelibly inked on the needle shaft, but they fit into a standard needle gauge too. They are guaranteed not to roll away. The warm wood crochet hooks are ergonomically balanced and carved to fit the hand so perfectly you may never want to put them down. Crocheters who have tried them rave about the comfortable grip and the natural beauty of the woods. Stitches slide like silk over the polished surface. Laurel Hill’s triangular needles will appeal to knitters who prefer lightweight flexible needles. Those looking for a dagger point to knit lace and other fine gauge yarns will be pleased with the long triangular tapered point that digs into stitches without stretching. The triangular surface grips even slippery yarns. While these needles are highly polished, the needles do not slide out of the knitting. Firm knitters who shy away from plastic for fear of breakage or bending can use these strong but flexible needles to relieve hand strain. Straight needles are available in US sizes 4 – 15; sock needles come in smaller sizes and some woods are available only in the largest sizes. 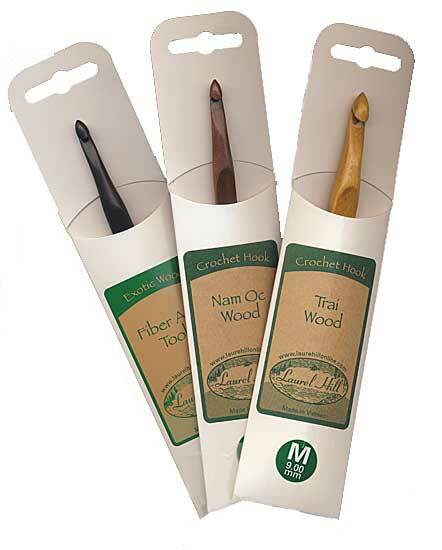 Crochet hooks are available singly or in sets in sizes D – M in a choice of ebony, Nam Oc (cherry color) or Trai (blonde) woods. Needle cases and starter kits for knit and crochet are also available from Laurel Hill. Tension problems for some knitters can be eliminated by switching to Laurel Hill’s square or triangular needles. I have not noticed a difference in either knitting or purling with these specially shaped needles, but others testify to improvements. Knitters who are unhappy with the consistency of their stitches may find square or triangular needles solve the problem. Most knitters and crocheters agree that smooth lightweight tools reduce hand strain. Laurel Hill’s lightweight exotic woods with a satiny finish do reduce drag and resistance so hands are not fighting against the materials and feel less strain. Anyone who suffers from hand strain may want to experiment with these gentle tools. Laurel Hill’s crochet hooks have an irresistible allure that will entice even non-crocheters. Using a tool this beautiful and balanced is pure joy, sure to lure others into learning crochet. Beginners will learn to love using these warm and perfectly shaped hooks. Hooks and needles can be stored in their custom fitted paper jacket. Silk storage rolls are available for crochet hooks and sets. Knitting needles and crochet hooks from Laurel Hill are beautifully crafted. They are polished to perfection with no rough spots or unfinished edges. The shaft of the needle is set completely through the end cap, so there is no danger that it will pop off. These tools are worthy of the term “functional works of art”. For comfort, beauty and quality, try Laurel Hill’s knitting needles and crochet hooks. They rate #9.